Monday 26 January, 7-9pm Houses of Parliament, Boothroyd Room (Portcullis House). BOOK YOUR PLACE HERE. Reverend Osagyefo Sekou a leading figure from the #blacklivesmatter protests that have rocked cities across the US, is coming to Britain later this month to link up with families of those who have died at police hands over here in the United Kingdom. 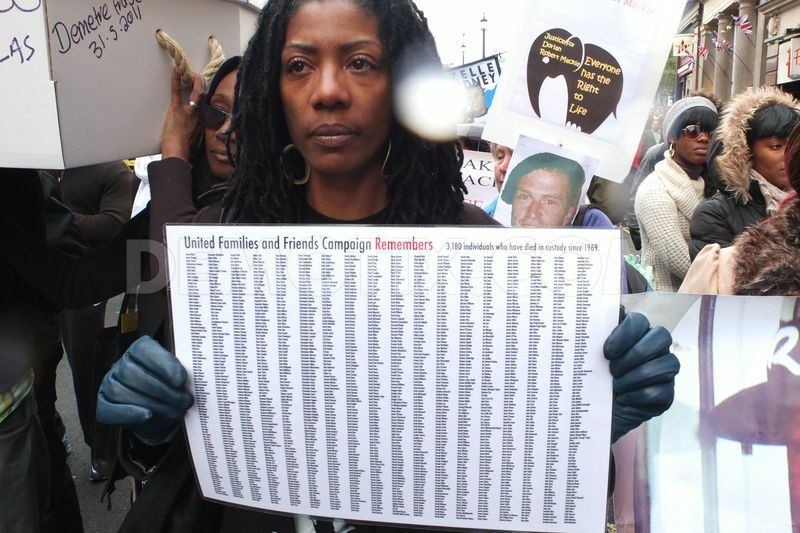 Whilst on-going protests in the US draw global attention to the horrific regularity with which Black people are being killed by police; families and campaigners are seeking to bring public attention to the high level of deaths taking place in the UK and the extreme difficulty confronting families who seek to hold the state to account for the death of their loved ones. In Britain there have been over 1,500 deaths in police custody since 1990 – but not a single successful prosecution of a police officer for manslaughter or murder since the first recorded death in custody in 1969. Just last month, 3 G4S guards were cleared of the manslaughter of Jimmy Mubenga who died on 12 October 2010 following face-forward restraint in his seat on a British Airways flight from Heathrow airport to Angola. A large number of passenger and cabin crew witnesses who gave evidence during the course of the trial said they could hear Jimmy saying he could not breathe before falling silent. Jimmy Mubenga’s widow Adrienne will be speaking at the meeting – her first public appearance since the trial outcome. She will be joined by many other families including Becky Shah whose mother died in the Hillsborough disaster and Stephanie Lightfoot-Bennet Chair of the United Families & Friends Campaign. Becky Shah Hillsborough Justice Campaign: “Recent events in Ferguson in the U.S.A. bear striking and frightening similarities to what’s been happening in the UK. Unarmed, young black men in disadvantaged communities are being shot dead by police officers despite attempting to surrender. And just like the Hillsborough Disaster, the families of the victims are then denied the justice they so badly need and deserve by the usual procedures of both establishment and media cover up and collusion, which demonises the victims and their communities while exonerating the real criminals: the police. No justice, no peace”.